There must be something in the air. I've been getting a bit of attention lately. 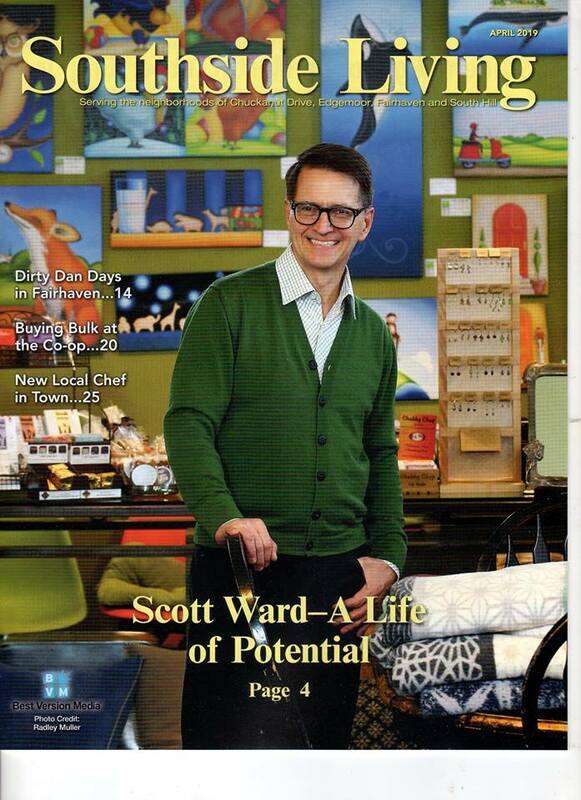 I appeared as the cover story in Southside Living Magazine in April. Southside Living is a local magazine that focuses in the people, businesses and neighbors that make a positive difference in the south end of Bellingham. They don't have an online presence. I'll see what I can do about sharing that article when it comes out. Last month I was featured on WhatcomTalk. WhatcomTalk is a community social network delivering positive stories about what it’s like to live, work and play in Bellingham, Ferndale, Lynden, and the surrounding Whatcom County area. It was a great conversation and fun to do. Also in March I did an interview with KPNW. I was featured on the show "Into the Arts" which highlights artists in Whatcom County. Somehow this interview ended up rating #8 on the Mixcloud site! It was a lot of fun! At Current and Furbish we feature a new artist each month. My work is always there and I am always working on new pieces. 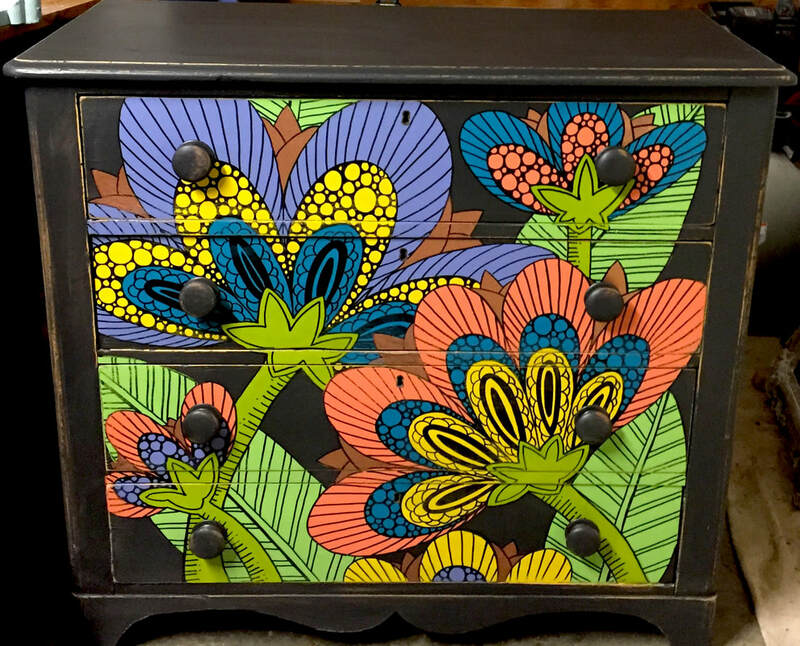 Along with my painting, illustration and community work, I refurbish furniture pieces for our shop in Fairhaven. This is the latest piece. It was a beat up dresser that needed a lot of TLC. It ended up being a fun piece and is definitely a conversation piece an sure to add some excitement in any room. In March of 2018 I was hired on as the Executive Director of the Historic Fairhaven Association. This is a new position for the Association - and for me! There have been many talented and dedicated volunteers throughout the history of Fairhaven that have upheld, respected and fought for the historic character and integrity of this neighborhood village in Bellingham, WA. I am honored to be entrusted with working with the board and membership into the next era of Fairhaven. It is an exciting venture and has me connecting with other organizations, teams and individuals in Bellingham to explore what we can do together. This has found me on the board of Allied Arts and serving on the Tourism Commission for the City of Bellingham. I am dedicated to two studio days each week. On these days I let go of email, phone calls, texts - all of the things that can pull me into my community work. Whether it be oil on canvas or persons in community, it all feels creative to me.